Recent rumors regarding the possible release of Led Zeppelin’s 2007 reunion concert this fall have peaked fan interest that the project will see the light of day. This past week, Belgian classic rock radio station RTBF reported that Zeppelin’s December 2007 show at London's O2 Arena will be released on DVD and CD in November. The posting – which has since been removed from the site – cited Warner Music sources as saying a double DVD set, accompanied by two CDs, will be made available. On Saturday, Led Zeppelin posted a cryptic graphic on their Facebook page that may be related to the Belgian news report. 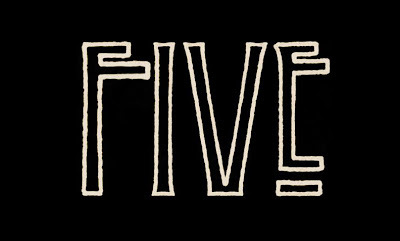 A photo of the number “Five” – in full Zeppelin logo font – has jump-started the rumor mill into overdrive again, as fans speculate as to its meaning. Some theories riff on the fact that it’s been 5 years since the reunion show, while others suggest an announcement regarding a forthcoming DVD release may be made on September 12, 2012, five years – to the day – that the Zeppelin concert was officially announced. Mensch previously referenced the reunion project with a tweet on July 9, writing “today, Moulder continues with his stellar mixing of the O2 show. it's been 5 years coming and it's almost here.” The comment refers to producer and engineer Alan Moulder. UPDATE (9/09) On Sunday, Zeppelin posted the number “Four” in what appears to be the continuation of a countdown to an announcement.